I run a mentoring programme where you join me online for 90-minutes every month. You join a community of other like-minded accountants and bookkeepers getting incredible results by pricing more profitably. 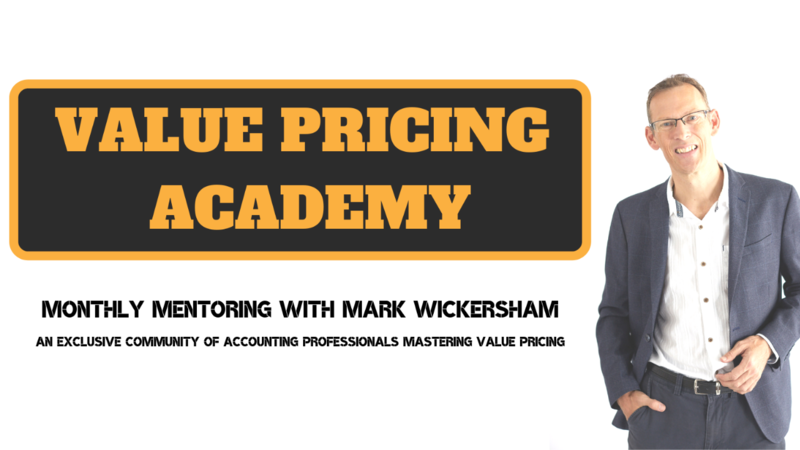 Every month I teach you value pricing concepts, I answer your questions, you learn from other people in the group and you get access to ready-to-use resources so you hit the ground running. Since all our meetings take place online there are no travel costs. All you need is a connection to the Internet and computer with speakers. There is no minimum period to be part of the group. In other words, once you have joined the group you can leave and stop the payments whenever you want. You are in complete control. 4. Ready-to-use resources each month to help you implement value pricing and become more profitable (and as an additional bonus, you will receive the "How to price setting up a cloud accounting system" course which contains the word and PDF sample versions of the brochure straight away). Select this option if you are outside the UK.